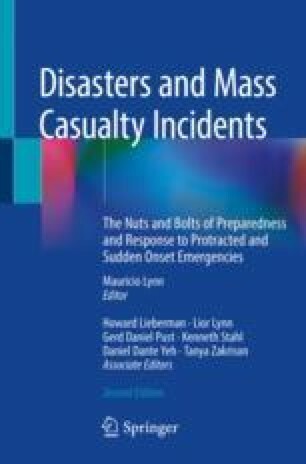 This section describes important topics of the planning of the response for the first responders, in particular the emergency medical services (EMS), to a sudden mass casualty incident (SMCI). The section includes the prehospital phases of a sudden mass casualty incident (SMCI), discusses the limitations of deploying a scene incident command (SIC) and regional emergency operations center (REOC) for this type of events, stressing the importance of a coordinated communication system. Finally, the section introduces a new concept such as “Save and Run” and discusses the pitfalls of patient tracking at the scene of the incident and the importance of patient tracking at the hospital.